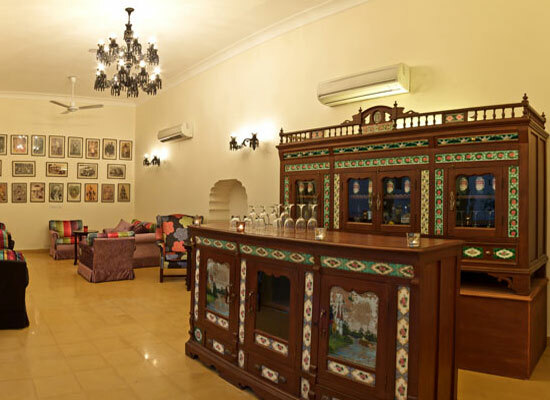 "One of the best heritage hotels in Jhunjhunu of Shekhawati Region, Vivaana Culture Hotel is an erstwhile beautiful mansion with a luxurious charm. 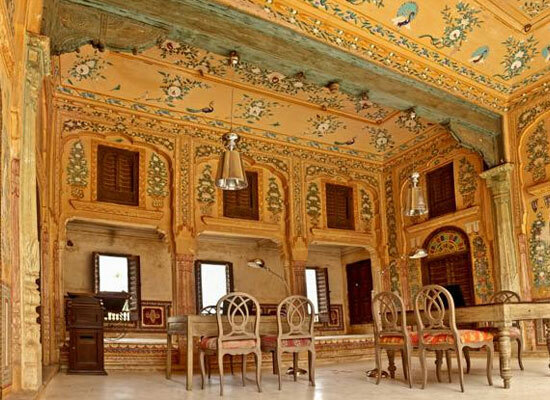 A stunning twin haveli, it has fascinating paintings and frescoes on exteriors as well as interiors. A 19th century Shekhavati haveli has been carefully restored as a heritage property, still holding onto its old-world regal feel. The rooms and suites of the hotel are spacious, luxurious and have a vibrant decor inspired from the colorful culture of the state. Guests can have a comfortable stay amid world-class modern conveniences. The on-site multi-cuisine restaurant and bar serve the best of delicacies and spirits. The staff is known to offer impeccable personalized services. The expansive courtyard, terraces and gardens look like an 'open art gallery'. 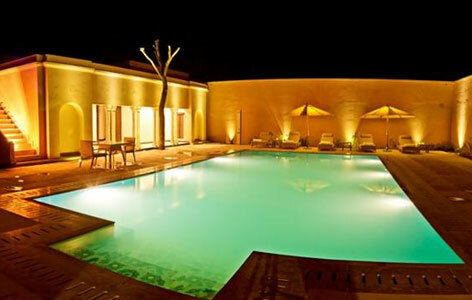 Vivaana Culture Hotel in Jhunjhunu is ideal for family vacationers and business guests. 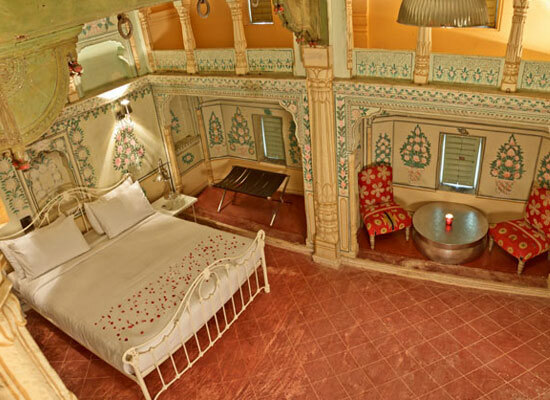 Vivaana is a 19th century Shekhawati Haveli with beautiful paintings adorning the walls. 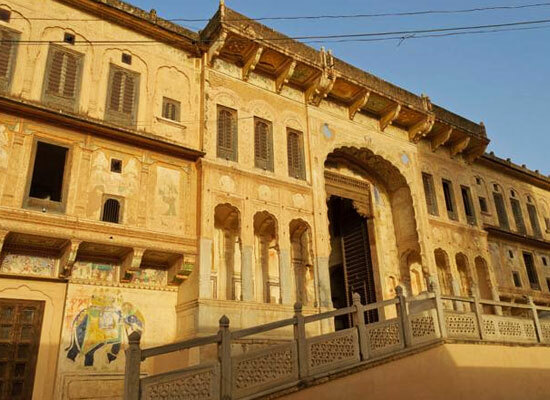 This twin-haveli resonates the magnificence that was prevalent a century ago in this region. The former grand rooms of the royalty have been meticulously transformed into Royal rooms, Luxury rooms, and Deluxe rooms. 23 in number, these rooms and suites are very well-equipped with all the contemporary comforts and come with a choice of twin beds or a king-size bed. While the royal charm and feel has been kept intact, additions have been made to suit the choices of discerning global travelers. Every rooms and suite has wonderful warm interiors, offering a memorable stay to the guests. The rooms are decorated with handpicked royal portraits and historical curios. The guest rooms are charming and come with comforts like lavish attached bathrooms with complimentary premium toiletries, a huge bathtub and more. 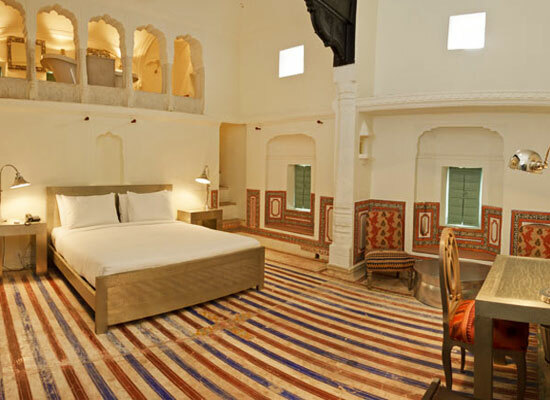 Other specialties of the rooms include goose down pillows, handmade oversized beds, air conditioner, make-up mirror and table, sofas or chairs with side tables, work table, telephone, huge windows, separate diwan in some rooms, and so on. At the Organic Kitchen, a multi-cuisine dining venue, the guests can relish sumptuous delicacies of Indian and popular World cuisines. The chef and his team prepare lip-smacking dishes, bringing some forgotten dishes to your plate. Local Rajasthani delicacies are the specialty of the menu. Admire the royal décor and enjoy the staff’s impeccable hospitality. A wonderful place for some ideal chit-chat, Vivaatini, the Maharaja’s Bar gives you a chance to relax and unwind. The menu offers choicest of spirits. The ambiance is wonderful. 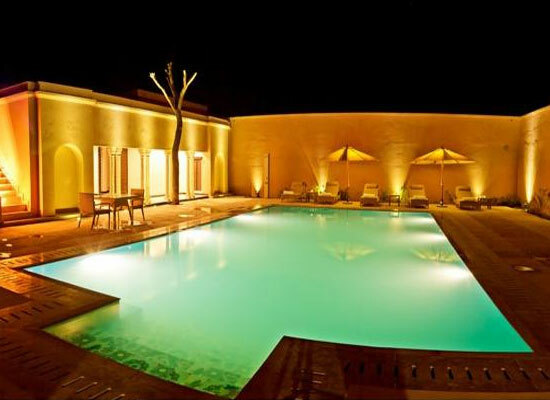 The most important commercial hub of Shekhawati region, Jhunjhunu is a bustling town of Rajasthan state. Frescoed havelis and vibrant local bazaar are two of its highlights. There is much to explore here including forts, palace, Mandawa, Rani Sati temple, Sone Chandi ki Haveli, Dundlod fort, Kanoria haveli and more.